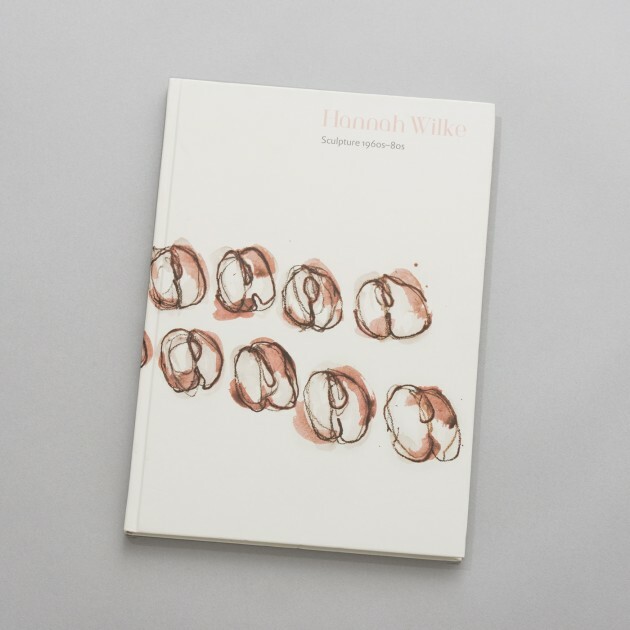 Catalogue accompanying Hannah Wilke, Sculpture 1960s - 80s, the fourth solo exhibition of the late American artist at Alison Jacques Gallery. The focus of the show is on Wilke’s sculpture from her early terracotta works of the ‘60s through to the more richly coloured installations of the ‘80s. The show also encompasses the theme of her body as sculpture seen in performative photographs as well as drawings from the ‘60s and ‘70s which either refer to her sculptures or demonstrate a visceral physicality that feels completely in dialogue with her sculptural practice.